Peach harvest in Florida is expected to start near the end of March or beginning of April. 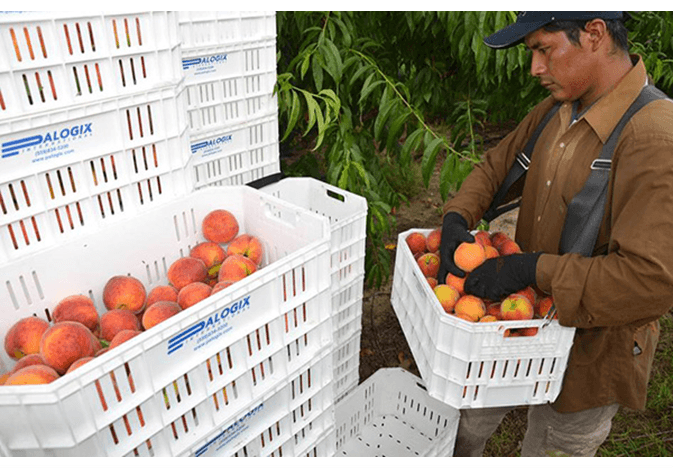 Florida peaches run on the small side, and several in the industry noted that could be an advantage for the sweet fruit. Their size makes them ideal for kids, said Ali Sarkhosh, an extension specialist at the University of Florida. Florida peaches normally come off the tree smaller than their Georgia and California counterparts because they have a shorter ripening period, and they were bred to hit an exclusive marketing window in April — after Chile exits the market and before Georgia, California and South Carolina ramp up. The fruit has drawn interest at retail, with some shipping as far as Canada, but its size means other channels could be wide open as well. “It is the perfect size for a lunch,” said Kay Rentzel, managing director for the National Peach Council. “It’s not a size that is more than a single-consumption size. It’s great for kids in school lunches, in their backpack programs, those types of things. “I do believe that there is an opportunity from a size standpoint to be able to find alternative markets as well,” Rentzel said. Sonia Tighe, executive director of the Florida Specialty Crop Foundation, said the sweetness of Florida peaches is their main attraction and the attribute the foundation focuses on in its marketing efforts. However, the smaller size can also be a positive characteristic. “Some of our growers have found that there’s a really nice niche as well in the farm-to-school program because it fits the requirements that they have for (U.S. Department of Agriculture) in terms of snack sizes that they can serve,” Tighe said.